Cairngorm (pictured above yesterday) and the Lecht ski Areas have re-opened terrain after heavy snowfall this week on Scottish mountains. The centres reported up to 50cm of snowfall on Wednesday and Thursday. The biggest transformation was at Cairngorm, above Aviemore, which has 16 runs open today, having been completely closed up to Thursday. The Lecht did have a run open for beginners using its all-weather Snow Factory snowmaking machine (Cairngorm's new £600,000 unit is reported to be out of action due to technical issues). 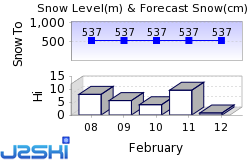 The Lecht reports a good snow covering across the mountain but currently has seven runs open. Glencoe and Nevis Range have survived the end of March thaw better than the more easterly areas and saw heavier snowfall last weekend, so Glencoe was almost fully open on Monday when most of the other centres were closed. 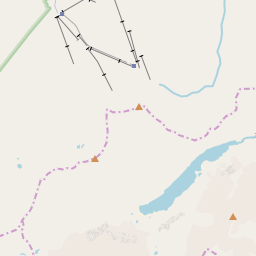 It currently reports 6 runs open, Nevis Range 11. This is the third time Scottish areas have re-opened through a challenging season which saw very little snowfall until late January, then a closure in February after the warmest temperatures ever recorded in any February in history. 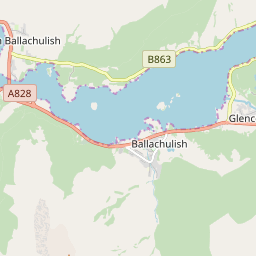 Resorts re-opened after snow levels were rebuilt through the first half of March but were closed again (With the exception of Glencoe and Nevis Range and Snowfactory opening at The Lecht) with another thaw at the end of the month. Altogether there are around 40 runs open across four centres in Scotland today. That compares to a maximum of 50 in February and a high of 70 in mid-March. The Scottish Easter holidays start this afternoon for many schools but it is uncertain how long the centres will be able to remain open. The current forecast is for temperatures mostly above zero with little further snowfall expected, although this can of course change.